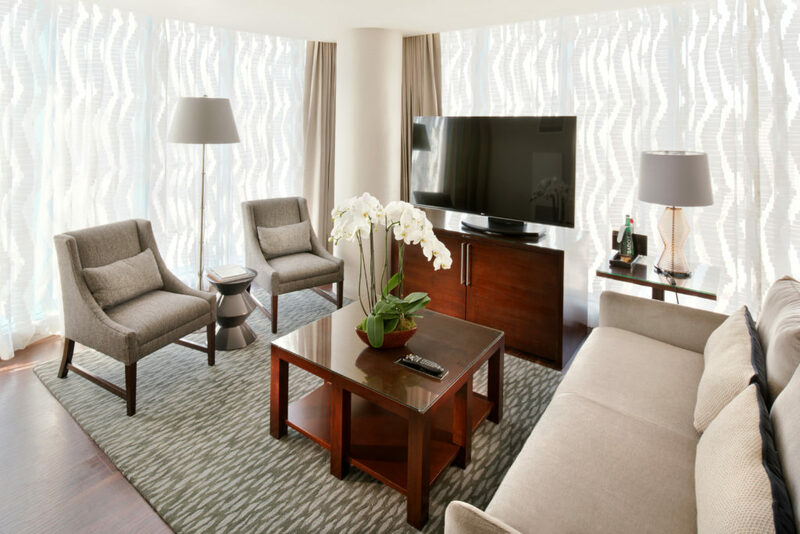 For its 11th anniversary, the InterContinental San Francisco Hotel unveiled a top-to-bottom interior renovation. The transformation includes 43,000 sq. ft. of meeting and event space, 556 guestrooms, 14 suites and lobby level concierge and living room. The nearby Moscone Center and San Francisco’s vibrant SOMA district—a hub for art, technology and commerce—encouraged the redesign. Inspired by the tailored and sophisticated travelers who frequent the hotel, Kiko Singh of San Francisco-based BraytonHughes Design Studios created a new guestroom interior that evokes a strong sense of place, promoting a stylish urban oasis for guests attending meetings or leisure travelers, while interior architecture and design firm EDG created a sophisticated lobby area for guests and meetings attendees. The design update introduces a new color palette and a crisper, tailored style that is reflected in the carpet, upholstery and modern textile wall coverings. The pinstripes in the gray carpet call to mind a modern suit, a theme carried through the room with suit-like buttons on the bed skirt outlined with striping of International Orange, the official color of the Golden Gate Bridge. The guestroom artwork comes from local emerging artists discovered in boutique galleries. “We used these juxtaposing inspirations to create tailored finishes in the rooms, including accents of brass and gold throughout the property and a comfortable lobby lounge where you can join friends from near and far to hear about their latest adventures,” Koehler said. The recently renovated meeting and function space includes two ballrooms and 21 meeting rooms on the third, fourth and fifth floors, offering spaces that range from 400-1,600 sq. ft. Dynamic architectural lighting in the alcoves of the ballrooms and on the meeting and function space walls can be adjusted to a number of shades. This lighting system, provided by Ketra, offers a circadian lighting program that shifts in color and intensity throughout the day to emulate natural light. In addition, meeting spaces are now equipped with white board walls that allow clients more space to brainstorm ideas. In the meeting space foyer, large-scale digital signage delivers client branding or acts as a digital art installation when not in use for an event. “In our meeting spaces, we used a Lutron lighting system from Ketra that mimics natural light throughout the day, giving our meeting attendees a more authentic experience than traditional meeting rooms and providing a natural rhythm to the day,” Koehler said. The corridors on each floor have been updated with neutral wall coverings and modern sconces that reflect the refined first floor lobby and the updated guestrooms. The elevator lobbies highlight the juxtaposing carpet and ceiling, which are meant to envelope guests in San Francisco’s iconic seasonal fog. 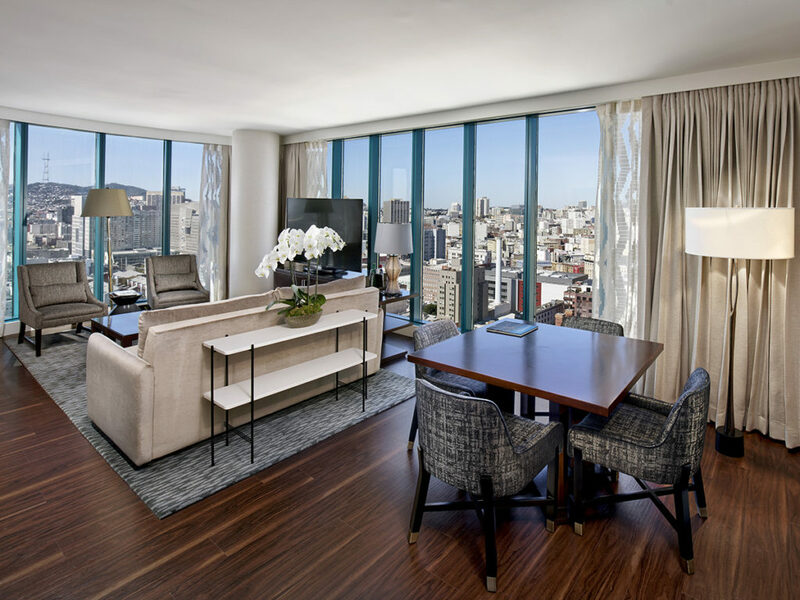 In a first for the hospitality industry, InterContinental San Francisco is partnering with Molekule air purifier, to include the clear air systems in select suites. 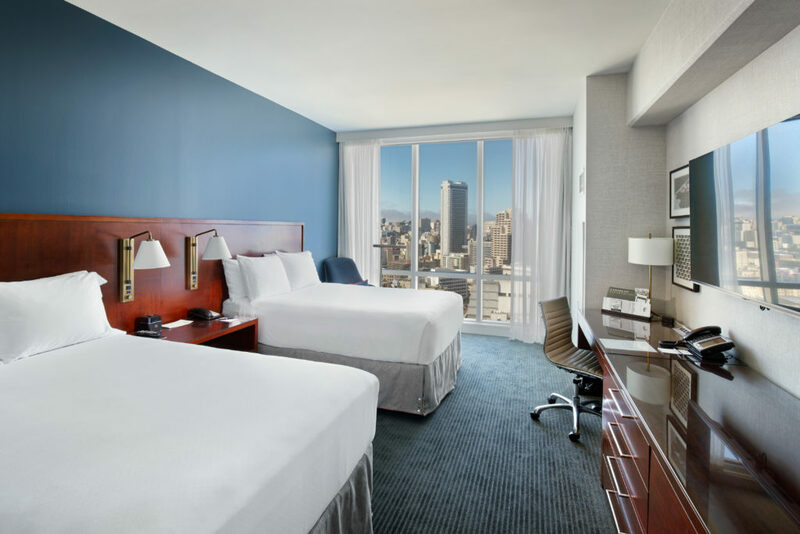 Purified air is shown to positively impact sleep quality—something the hotel industry has addressed with luxury linens and high-quality mattresses. 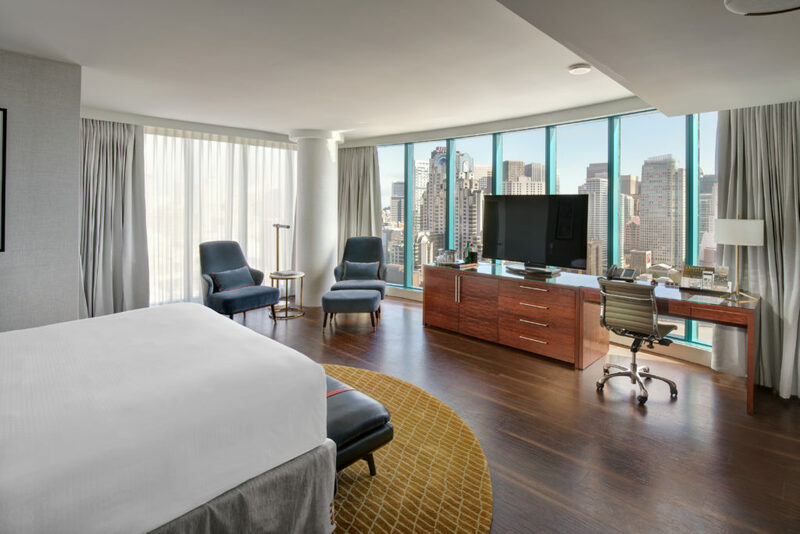 This partnership will work with property guests to assess their sleep quality during their stay, and may include more guestrooms in coming months. The renovation will culminate this fall with an enhancement to Michelin-starred Luce Restaurant and Bar 888. How much capital deployed for project? Well furnished house looking beautiful. Its undoubtedly a good work by the designer as well as planner.Thanks for sharing with us.